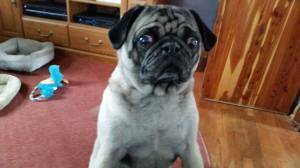 Goliath – Available for Adoption! Goliath is a 3 year old owner surrender. 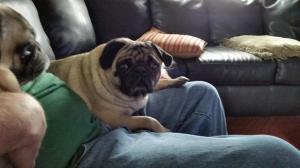 He’s very friendly, loves to play and is just an all-around sweetheart of a pug! He is smart, listens well and would make a great addition to any family. Once Goliath has been in foster care longer, we will update his bio, but so far, he’s got it all!